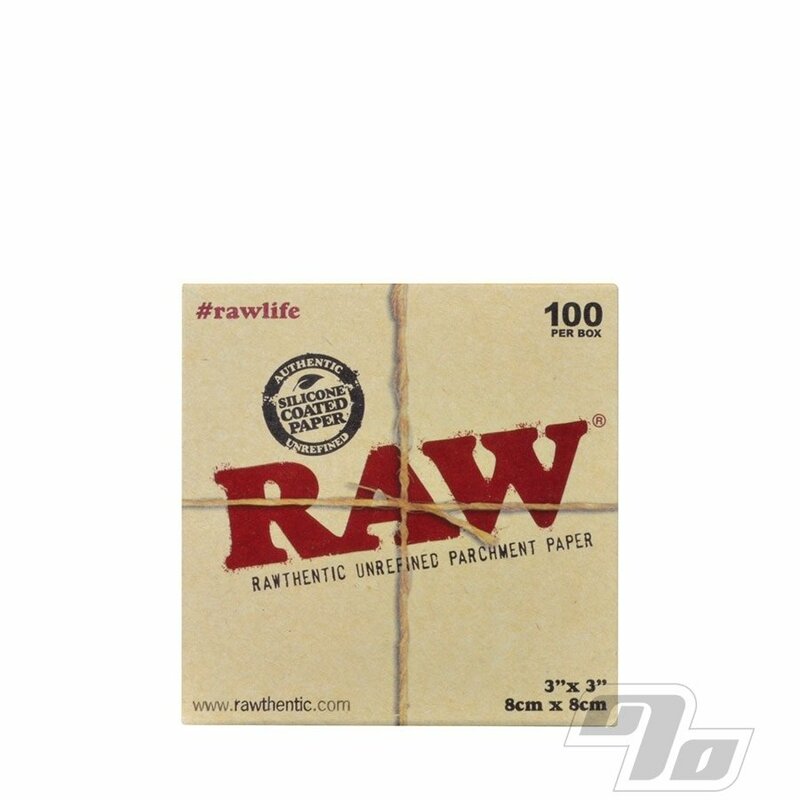 RAW Parchment Squares are some of the best unrefined extra slick dual-coated parchment paper available today. Made with naturally unbleached paper and coated with pure eco-friendly silicone. Great for storing or handling your wax, and safe to use with scrapers! Once you try it you’ll understand why it’s the best! Right sized 3" x 3" squares in a box of 100 sheets. There is a slight natural curl to each sheet due to the unrefined nature of the paper. 100% Rawthentic when purchased at 1 Percent!